Exeter extended their lead at the top of the Aviva Premiership table to eight points with a convincing 46-10 win over Gloucester at Sandy Park. 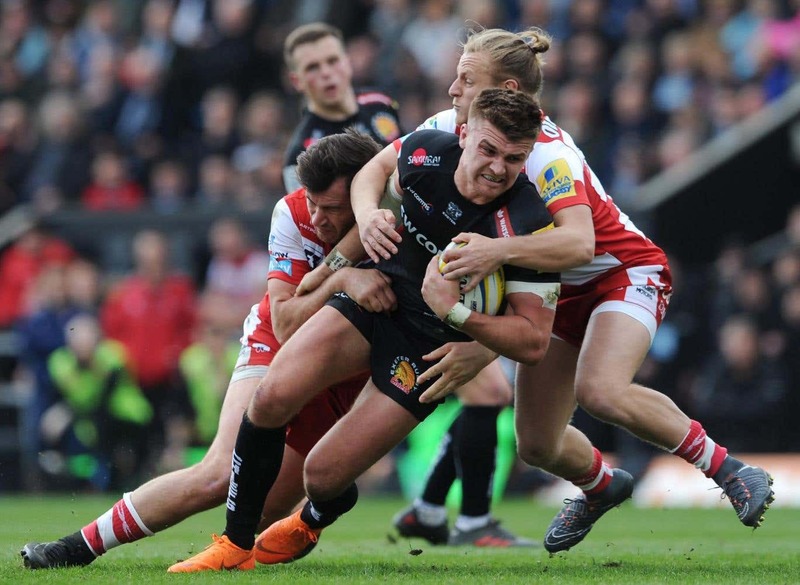 Chiefs’ victory secured them a semi-final spot but it put a huge dent in Gloucester’s play-off hopes as the visitors remain in seventh position, five points adrift of fourth-placed Wasps with only three league games to play. As a result it is likely that they will need to win all their remaining fixtures – against Harlequins, Bath and Saracens – if they are to have any chance of qualifying for the semi-finals. Jack Nowell, who replaced Sam Hill midway through the first half, marked his first game since December by scoring two of Exeter’s tries. Sam Simmonds, Olly Woodburn, Gareth Steenson and Alec Hepburn also crossed with Joe Simmonds adding two penalties and five conversions. 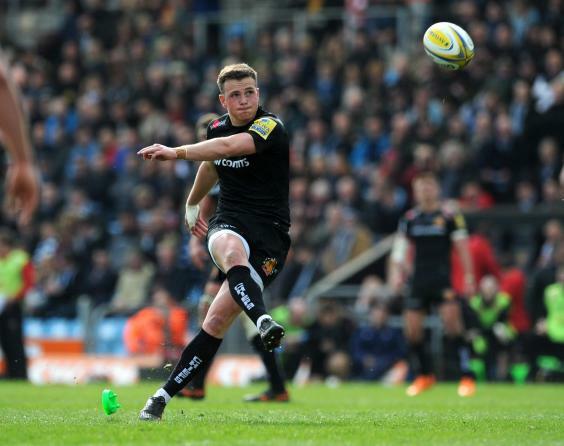 Callum Braley scored Gloucester’s try with Owen Williams kicking a penalty and a conversion. A knock-on from Lachlan Turner gave Gloucester early possession and they almost capitalised when a well-judged pass from Williams gave Henry Trinder an opportunity but the centre was forced into touch, inches short of the try-line. However it did not take long for the visitors to get on the scoreboard as Williams fired over a seventh-minute penalty. Chiefs should have replied when Turner burst through the Gloucester defence to feed Don Armand but, with the line at his mercy, the home skipper passed to an opponent. Gloucester suffered a setback when their captain, Will Heinz, limped off and almost immediately they received another blow when Hepburn wriggled out of a tackle to score. Joe Simmonds converted to give his side a 7-3 lead at the end of the first quarter before his brother, Sam, extended that advantage by finishing off a driving line-out. Joe’s conversion attempt rebounded back off a post but the outside-half soon succeeded with a simple penalty. Two minutes before the interval, Ruan Ackermann was yellow-carded as beleaguered Gloucester, who could not break out of their own territory, continued to offend and, with the last move of the half, Woodburn forced his way over for Chiefs’ third try. Within two minutes of the restart, Gloucester surprisingly scored their first try when Mark Atkinson slipped a tackle from Tomas Francis to create a try for Braley. Simmonds knocked over a second penalty before Ackermann returned from the sin-bin but this could not prevent Nowell scoring two tries in quick succession to seal victory for Chiefs. Gloucester’s miserable afternoon was completed when replacement Steenson seized upon a stray pass from Tom Savage to complete the rout.